In yesteryear, if someone threatened to hit you, it was called assault, but if they actually hit you, it was called battery. These days, the meaning of the two terms has blurred and, in many states, assault can mean either the threat of bodily harm or the bodily contact itself. It you are assaulted, the prosecutor decides the criminal charges, but you can also bring a civil suit against the person who assaulted you to seek compensation for the damages you incurred from the incident. The same act can result in both criminal charges and civil litigation. Criminal cases are those that charge a violation of a criminal law and can send the accused to jail. They are brought by the prosecutor or district attorney and, if the accused is found guilty, he may get probation or jail time. You, as the assault victim, are only a witness in the criminal proceeding. However, if you bring a civil case, you run the show. A civil case is an entirely different animal. You file a complaint against the person who assaulted you asking for money damages for injuries you suffered from his actions. The damages can include property damage if he broke or damaged your clothes, glasses, watch, car or other personal property. You could also seek damages for your doctor bills if you were injured or if you were so emotionally upset you had to go to therapy. If you missed work, you can include lost wages as damages, as well as compensation for pain and suffering. Since assault is an intentional act, you can also ask for punitive damages, a special type of compensation that is meant to punish a person for his destructive intentional conduct. Every state has its own rules about how to file a civil suit, and you'll need to follow them if you handle your own case. To sue, you prepare a summons -- the document that lets the other party know you are suing him and the time he has to answer -- and a complaint, in which you set out your claims. For assault, you must include claims that the defendant intentionally attempted or threatened to injure you or touch you in an offensive manner, and that you reasonably believed he could harm you. You should also state that you did not consent and that you suffered injury from his actions. 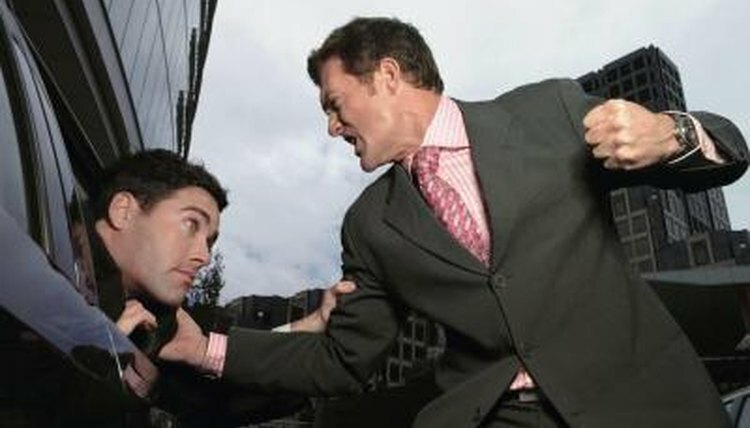 It is wise to consider bringing in an attorney in an assault case. Just because you correctly plead a civil case for assault doesn't mean the defendant is without any defenses. Consent is a defense to an assault case, often raised in the context of sports injuries. If you sue because you were almost tackled in a football game, the defendant could argue that you consented to being tackled when you agreed to play. Another defense is privilege. If you are threatened by a policeman who is arresting you, he might have a successful defense of privilege -- that he was entitled by his job to use force and that he used the proper amount of force for the situation. Similarly, if someone assaulted you to stop you from harming him, self-defense might be a successful defense. Spengler, Teo. "How to Sue for Assault." , https://legalbeagle.com/4856367-sue-someone-assault.html. Accessed 20 April 2019.